An email alias is simply a forwarding email address. Everything sent to an alias email address is actually received in the primary email account’s inbox. You can create multiple aliases for the same email account. 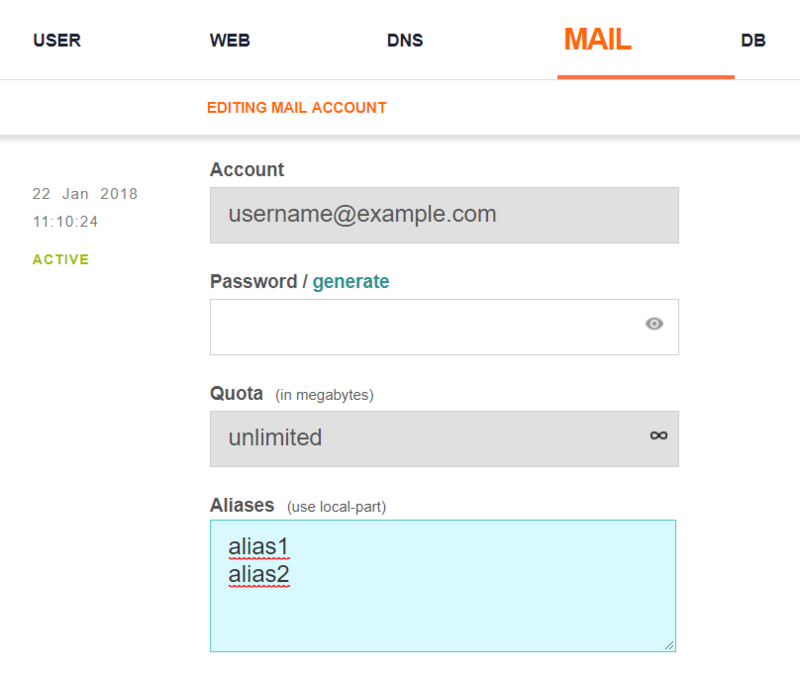 You can use set up email aliases at your domain through your control panel. Navigate to Mail section. Then select the domain you want to create the email aliases for and click on ‘List Accounts’ button. Select the email account you wish to add an alias to. Click Edit. Add the aliases you need. Make sure to put each alias on a sepearte line.